India is a land full of festivals and elaborate celebrations. 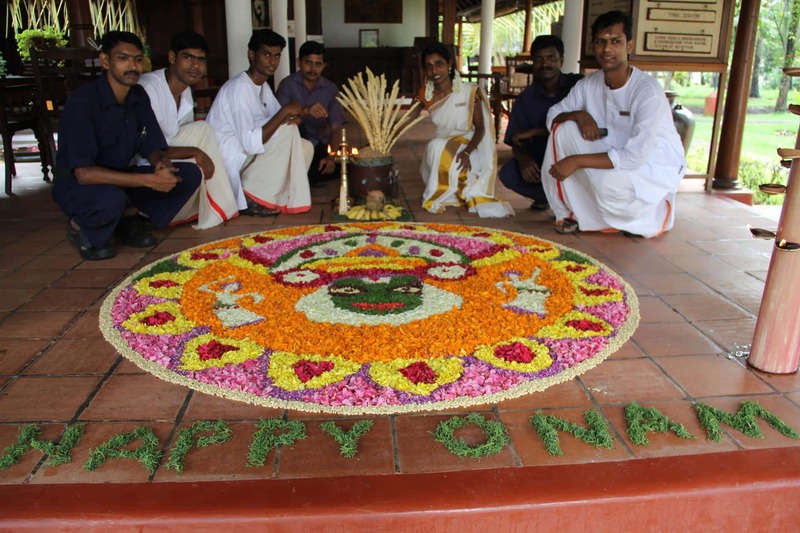 However in the state of Kerala, there is one festival that surpasses all others, the Onam Festival. This joyous festival takes place during the summer months and celebrates the bountiful harvest and blessings bestowed on this region. The Onam Festival consists of several legends, the most important of which is the reign of their beloved King Mahabali. During the reign of King Mahabali the region celebrated a golden era of peace and prosperity, of bountiful harvests and a time void of diseases or prejudices. The King was so loved by his people that the gods felt threatened by him and decided to punish him for his egotistical ways. However, they granted him one wish, once a year he was able to return to the land and the people who loved him so. Even today, people genuinely anticipate his return creating intricate flower mats outside of the courtyard and decadent multiple course meals. Everybody, regardless of religious affiliation or caste comes together to jubilantly celebrate and show the King that they are still prosperous and to show their undying gratitude for him. The festival is celebrated over 10 days and is an extravagant display of art, music, culture, food and unity. 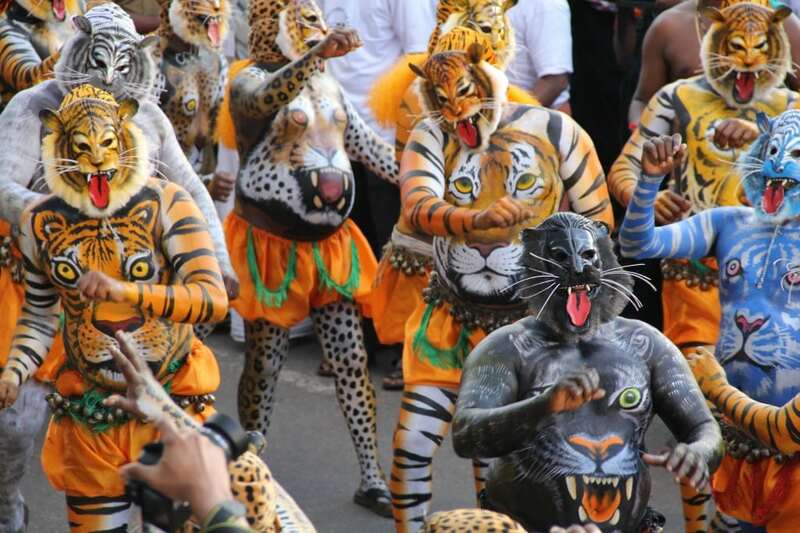 The Pulikali Tiger Festival is a wonderful event to watch. Artists paint the men’s bellies, arms and legs to make them look like tigers. The men who belong to different clubs compete in a parade to celebrate this festival. There is dancing and prancing by the tigers for the spectators, floats and music. The festival also features organized sporting events. The most popular event is the Palliodam Boat Races. The tradition comes from a legend that people were transporting food down the river and the boat became stuck. Their spiritual leader waded to the shore and saw a small hut in the distance. When he approached, he found a crying mother and several small sleeping children. The mother told him that her children were starving and she had no food to feed them. The leader returned to the boat gathered the food and gave it to the starving family. This lightened the boats weight enough that they could continue their journey. This led to a heartwarming tradition of feeding the hungry during the festival. It also led to spirited races between teams down river where spectators line the banks and cheer them on.